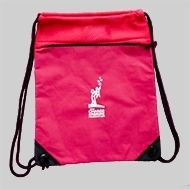 Hold all of your belongings in this Port & Co. cinch sack displaying the CHARGE Foundation logo. Color choices: red, blue, & pink. © Copyright 20165 CHARGE Syndrome Foundation. All Rights Reserved.